If you’re looking for a residential electrician, you want to be absolutely certain that the person you’re letting work on your home is qualified to get the job done right. The good news is that at Delta Electrical, our goal is to provide each and every one of our customers with exceptional work at a fair price. We pride ourselves on our customer service skills and there’s nothing we love more than helping to make our customers’ homes safer and more functional. Whether it’s adding new electrical outlets, upgrading your circuit breaker, or even installing new light fixtures or ceiling fans, you can count on us to get the job done the right way. With a level of care and attention to detail that is simply unmatched, we ensure that our customers have the peace of mind knowing that they made the right decision. In today’s blog, we’d like to take a look at three of the qualities that we bring to the table. 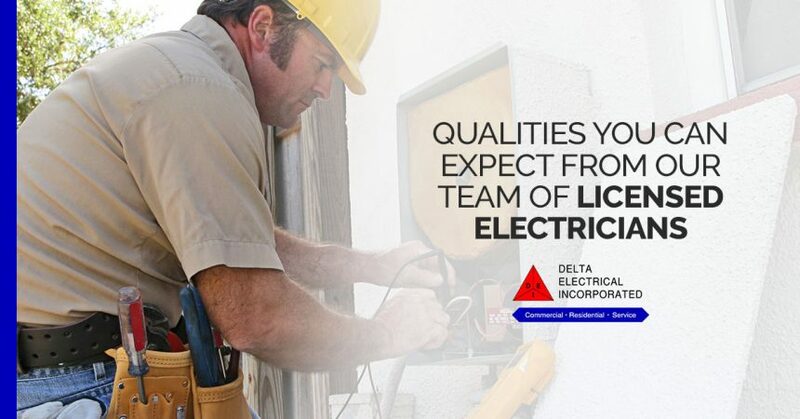 If you’re considering enlisting the services of a certified electrician, keep reading to see what makes the team at Delta Electrical different from the rest. The truth of the matter is that many people want to save a buck or two by hiring a general handyman to come in and make electrical changes in their homes. This is completely understandable. Everyone wants to save money and people tend to look for places to save. The reality of the situation is that electrical work is one area where you really don’t want to cut corners. Having a safe home is worth any extra costs that may come up. After all, a home is the place that often feels safe. It’s where you go to rest and relax at the end of a long day. Our team of licensed electricians know the ins and outs of the craft to ensure that no matter what type of work you need done, it gets done the right way, keeping your family safe. We’ve been in this line of work long enough to have heard some horror stories about how people have been treated by so-called professionals in our industry. At Delta Electrical, each and every one of our local electricians is incredibly friendly, ensuring that no matter what the situation is, you’ll be treated kindly and with respect. We believe that customer service should be a top priority for any profession, but because electrical work isn’t something a lot of people understand, our goal is to walk you through to process to make sure you know exactly what we’re doing–and we’ll always do that with a smile on our faces. At Delta Electrical, we’re dedicated to getting the job done the right way the first time around. As a matter of fact, our company has always stated that it’s our goal to maintain the highest level of professionalism, honesty, integrity, and fairness in our relationships with customers and employees alike. That means that no matter who you are or what type of work you need done–whether it’s a simple job like repairing a light switch or a complex one like rewiring an entire home to bring it up to code–you’ll get the best treatment possible. When we say that we’re dedicated, it covers everything from being dedicated to friendliness with our customers to learning more about our craft in order to be as knowledgeable as possible. If you’re looking for a local residential electrician that you can count on to get things done the right way, look no further than the team at Delta Electrical. All of our project managers and estimators have an average of two decades of experience in the industry and we’re licensed, bonded, and insured to do work in the state of Tennessee as well as a number of other states across the country. 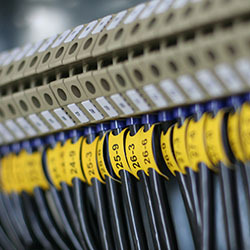 When you need to enlist the electrical services of a company you can count on, we hope that you’ll choose Delta Electrical. Don’t hesitate to reach out to us today to get a free estimate for your next job. We look forward to hearing from you!